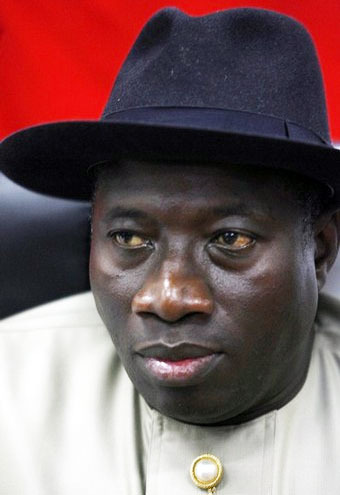 President Goodluck Jonathan on Tuesday asked the National Assembly to review the 2012 budget. He had signed the bill into law last week, but wrote to the National Assembly on Tuesday, seeking adjustments. He requested a review of allocations to the Niger Delta Development Commission (NDDC) and the Universal Basic Education (UBE). Allocations to these projects are based on percentage of revenue accruing to the federal government and as the oil benchmark have been raised from $70 initially proposed, to $72 as passed by the National Assembly, there are shortfalls of N1.91 billion and N1.97 billion in the respective budgets of the two parastatals. President Jonathan on Friday last week approved and signed into law the 2012 budget, warning ministers and other heads of departments and agencies against lobbying for more funds. The budget has a total expenditure of N4.69 trillion, with forecasted revenue of N9.692 trillion, based on a benchmark oil price of $72 per barrel.